On April 19, 2017 at approximately 7:40 PM, Donald C. Pierson was visiting Bays Mountain Park, located at 853 Bays Mountain Park Road in Kingsport. He was visiting the animal habitat with the rest of his party, but left to walk back to the car alone. When the rest of his party returned to the car, Mr. Pierson was nowhere to be found and has not been seen or heard from since. 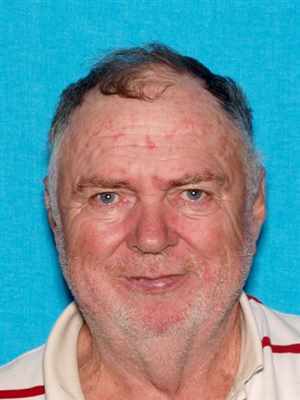 Kingsport Police personnel are currently in the process of searching for him in and around the Bays Mountain Park area. It is also entirely possible that someone may have picked him up and given him a ride out of the park. Mr. Pierson is a 67 year old white male adult with diabetes. He is 5 feet 6 inches tall and weighs 250 pounds. He was last seen wearing jeans, a dark colored t-shirt, a blue ball cap, and brown shoes. His photograph is included with this release. Anyone who sees him or knows his current whereabouts is asked to immediately contact the Kingsport Police Department at 423-246-9111.